We couldn’t go without sharing an apple pie recipe on National Apple Pie Day, now could we? 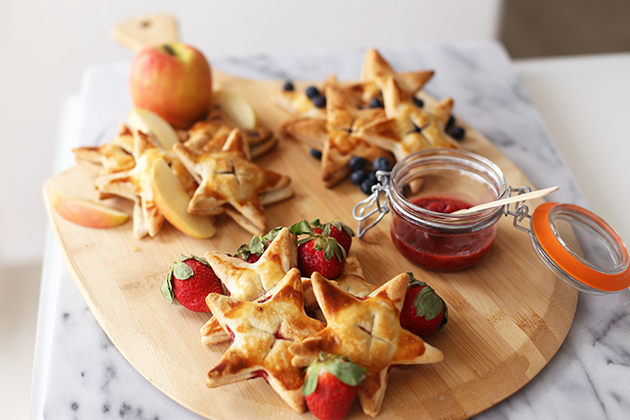 These star-shaped hand pies are perfect for a long, warm weekend! Plus they are super easy to serve. Guests can eat them while walking around and mingling. We are sharing an apple, strawberry, and blueberry version, so there is sure to be one for everyone. Are you ready for the super simple tutorial? Begin by cutting the apples into slices and then into small chunks. Melt the butter in a medium to large KitchenAid® Tri-Ply Copper Skillet over medium heat. Cook the butter until it turns a golden color with bits of brown and smells deliciously toasty. Turn the heat down to medium low. Stir in the apples, white sugar, brown sugar, and salt. Cook for about five minutes or until the apples are soft. Stir in the cinnamon, and cook the apples one to two more minutes until mixture has thickened. Remove the skillet from the burner and allow the mixture to cool slightly. 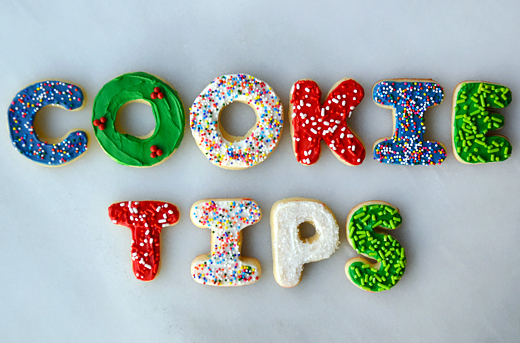 Set your KitchenAid® Digital Countertop Oven to bake, and preheat to 400 degrees. Unroll the prepared pie dough. Cut out star shapes using a large cookie cutter. Place the star shapes onto a baking dish covered with parchment paper. Make sure the parchment paper won’t touch the oven anywhere while inside or it could burn. Spoon out the pie filling onto the stars. Place another star shape on top. Press the edges of the stars together. Whisk the egg and milk together. Brush the egg mixture onto the tops of each star. Sprinkle the stars with white sugar. Cut an “x” in the top of each star for ventilation. Bake for about 20 minutes or until golden brown on top. Serve with extra pie filling. 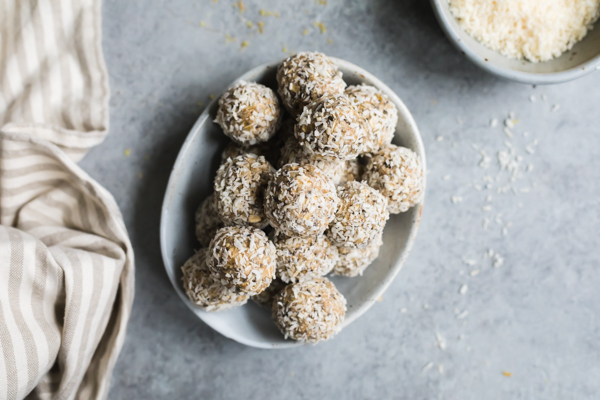 These can even be made ahead of time and frozen. How awesome is that? Cut the apples into slices and then into small chunks. Melt the butter in a medium to large KitchenAid® Tri-Ply Copper Skillet over medium heat. Cook the butter until it turns a golden color with bits of brown and smells deliciously toasty. Turn the heat down to medium low. Stir in the apples, white sugar, brown sugar, and salt. Cook for about five minutes or until the apples are soft. Stir in the cinnamon, and the cook the apples one to two more minutes until mixture has thickened. Remove the skillet from the burner and allow the mixture to cool slightly. 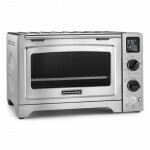 Set your KitchenAid® Digital Countertop Oven to bake, and preheat to 400 degrees. Unroll the prepared pie dough. Cut out star shapes using a large cookie cutter. Place the star shapes onto a baking dish covered with parchment paper. Make sure the parchment paper doesn’t touch the oven anywhere while inside or it could burn. Spoon out the pie filling onto the stars. Place another star shape on top. Press the edges of the stars together. Whisk the egg and milk together. Brush the egg mixture onto the tops of each star. Sprinkle the stars with white sugar. Cut an “x” in the top of each star for ventilation purposes. Bake for about 20 minutes or until golden brown on top. 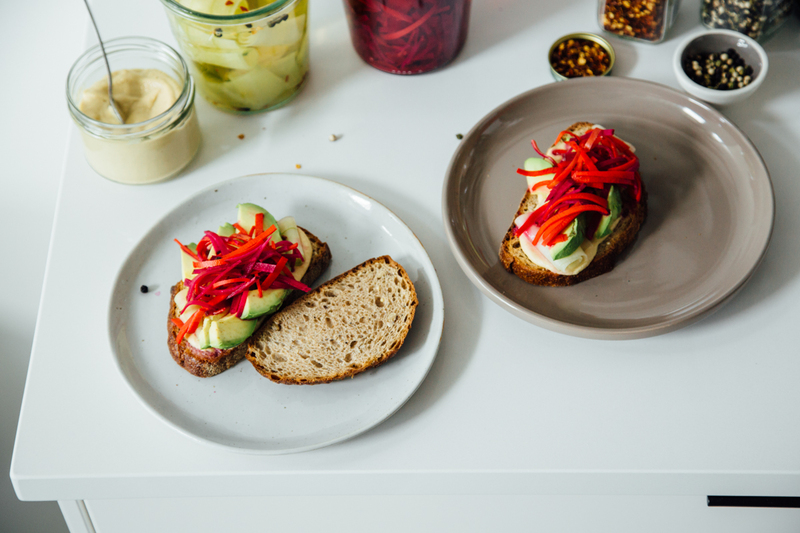 Serve with a jar of extra pie filling. Cut the strawberries into slices and then into small chunks. 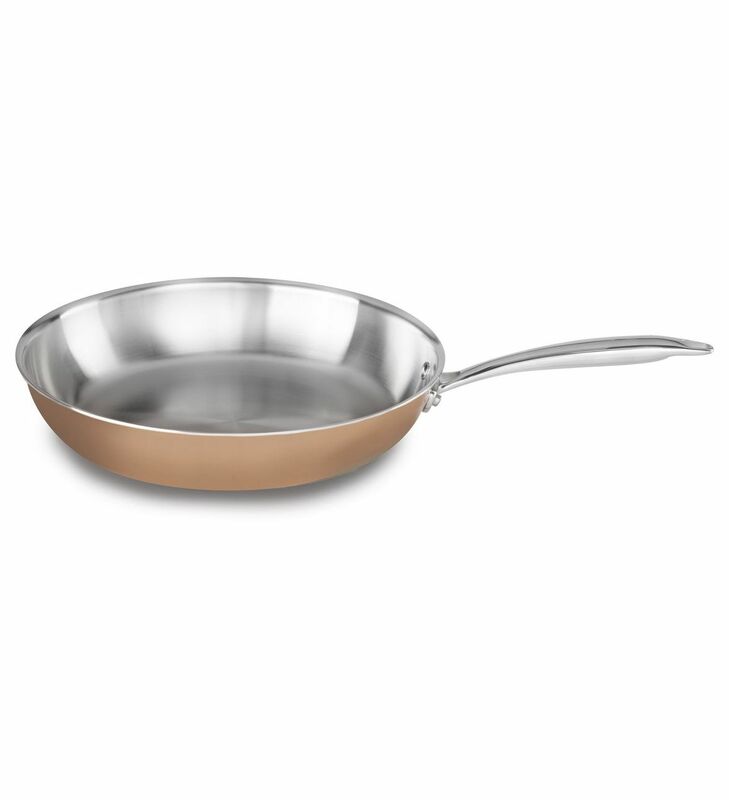 Melt the butter in a medium to large KitchenAid® Tri-Ply Copper Skillet over medium heat. Cook the butter until it turns a golden color with bits of brown and smells deliciously toasty. Turn the heat down to medium low. Stir in the strawberries, white sugar, and salt. Cook for about five minutes or until the strawberries are soft. Remove the skillet from the burner and allow the mixture to cool slightly. Melt the butter in a medium to large KitchenAid® Tri-Ply Copper Skillet over medium heat. Cook the butter until it turns a golden color with bits of brown and smells deliciously toasty. Turn the heat down to medium low. Stir in the blueberries, white sugar, and salt. Cook for about five minutes or until the blueberries are soft. Remove the skillet from the burner and allow the mixture to cool slightly.